The Ballynamona Clean Coasts group fundraised €16,000 to purchase a new quad bike and trailer to help clean over 30kms of coastline in East Cork. The new equipment was key in the removal of 5 tonnes of rubbish recently from Ballybranagan beach with the help of the Transition Year students of St. Colmans’s Community College, Midleton. The group were awarded grant funding through the FLAG operated by Bord Iascaigh Mhara and funded by the Department of Agriculture, Food and the Marine. Businesses local to East Cork also helped through generous sponsorship to get the project up and running this year. Ballymaloe Cookery School, Castlemartyr Resort, Ballymaloe Shop & Café, Garryvoe Hotel, Ballycotton Seafood, Midleton Skip Hire, Midleton Distillery, Ballycotton Community Development Company, Ballycotton Medical Centre, Midleton Veterinary Hospital, Carey Tools, Co-op Superstores, Teachers’ Union of Ireland, An Taisce and the Tesco Community Fund all contributed enabling the community group to purchase the equipment ahead of schedule. 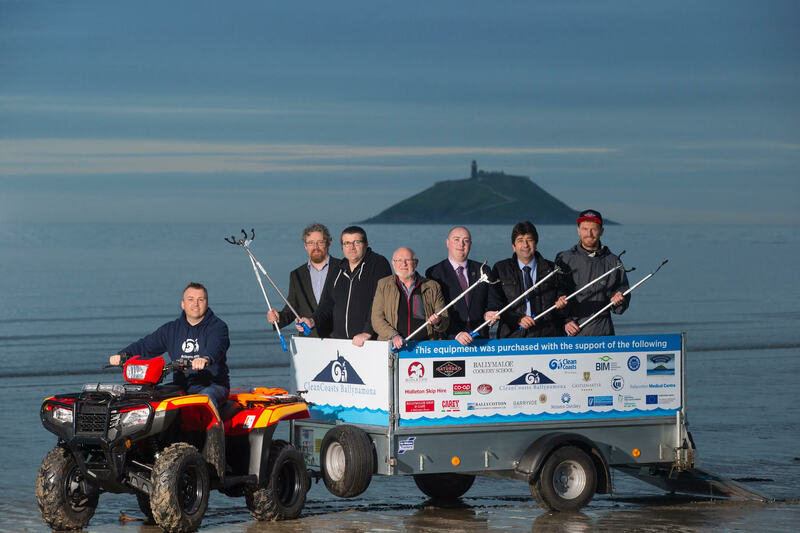 The group who have twice been An Taisce Ocean Hero award winners are using the equipment to maintain over 30km of coastline by removing marine litter.